xiv, 402 p.,  p. of plates : ill. ; 24 cm. Originally published: London : Gollancz, 1999. Includes bibliographical references (p. 378-389) and index. Art treasures in war--Europe--History--20th century. 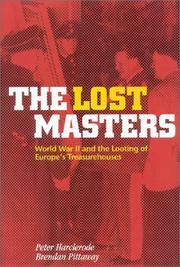 World War, 1939-1945--Destruction and pillage--Europe.